This String exercise project is to help Python developer to learn and practice String manipulations. As you know stings data structure is widely to hold characters sequence data. 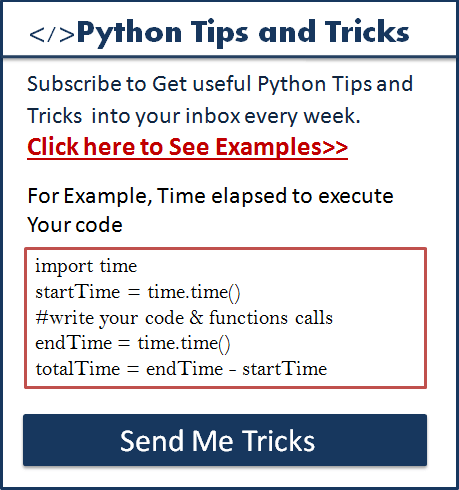 To perform any programming tasks in Python good understanding of string manipulation is necessary. When you complete each question, you get more familiar with String operations and usage. What included in this String exercise? Each question includes a specific String topic you need to learn. 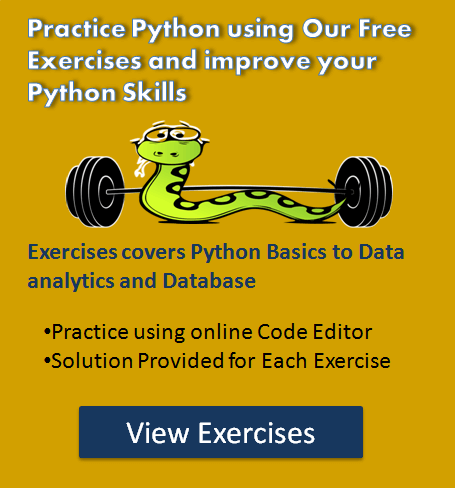 When you complete each question, you get more familiar with String operations and usage in Python. Given input String of combination of the lower and upper case arrange characters in such a way that all lowercase letters should come first. Note: create a third-string made of the first char of the last char of b, the second char of the second last char of b, and so on. Any leftover chars go at the end of the result. We’ll say that a String s1 and s2 is balanced if all the chars in the string1 are there in s2. characters position doesn’t matter. inputString = "Welcome to USA. usa awesome, isn't it?" inputStr = "English = 78 Science = 83 Math = 68 History = 65"